This article is a break down guide that features the easy steps to start and run a new successful blog that ranks high on Google search results. Before you create or set up a blog especially on Blogger Platform, know your passion and the niche you are blogging about. You will need patience and determination to see your blog grow and get traffic. In the beginning, your focus should be on your passion, not on your expected earnings. Here we go! 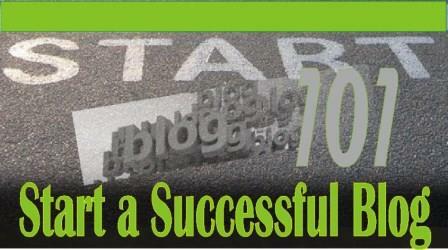 To start with get at least 5 good and SEO optimized articles to start with. It is highly recommended to create your article with a word processor like Microsoft Word to enhance the formatting and clear most spelling/grammar errors. As a general rule, you should have an average of at least 450 to 500 words for each article; this is mostly to ensure that Google crawlers have enough data to make sense of what you are writing about. The two top competing platforms are WordPress and Blogger. The comparisons for these two has been over-flogged on the internet so let me go straight to the deal. Many people confused the limited free WordPress.com with the full featured self-hosted WordPress.org. For a newbie who is learning the ropes, the best choice without spending much is the Blogger; this is because the free Blogger is far ahead in features than the free WordPress. So assuming that you are going to use blogger, get a nice template handy in case the carry come (default) blogger templates are not up to your taste. BTtemplate and deluxe template website features some good templates to preview and choose from. (You will later download from the site and upload to your blog). Of course you will need a Google account and be sure that you complete your Google+ profile setup because Google love blogs that have a “face”. Select your template from the available designs (start with any of the default first, you can change it later), save and post your first article. These are the very basic information you need to fully understand if you are to succeed with your blog. But, this is the easy part in relation to how you enhance your blog for best user experience; the main work now in your running blog is how to optimize it so that Google can see it well.